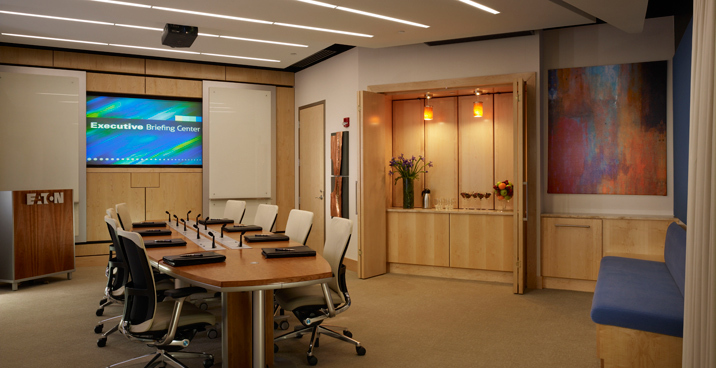 At Eaton Corporation’s Electrical Division in Pittsburgh, a new executive briefing center takes center stage. 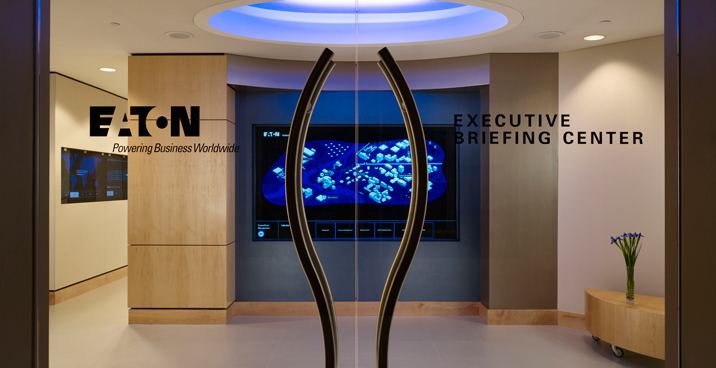 Benham provided services in architecture, sustainable/green design, interior design, engineering, and advanced communications systems for Eaton’s new 4,760-square-foot facility. Benham also submitted and received the U.S. Green Building Council Leadership in Energy and Environmental Design (LEED®) Gold Certification Green Building Rating System™. Presentation room - A large, tiered space for groups of up to 30, the seating allows good sight lines to the screen from every seat in the house. Built-in tables provide a work surface complete with power, data and a microphone for each guest. 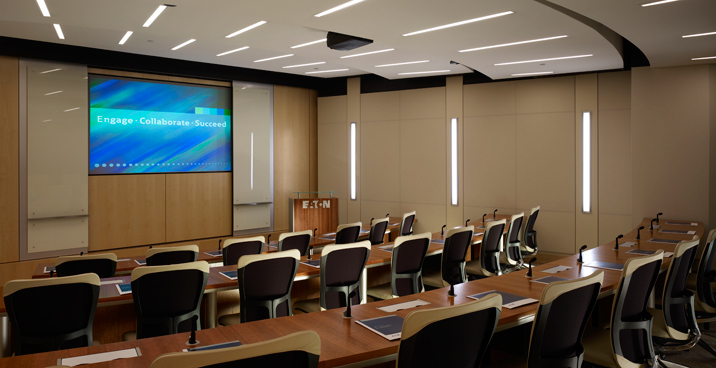 The large screen at the front of the room is designed to display as many as three projected images side-by-side. When the screen is not in use, or when fewer than three images are on the screen, sliding panels conceal all or part of the screen. 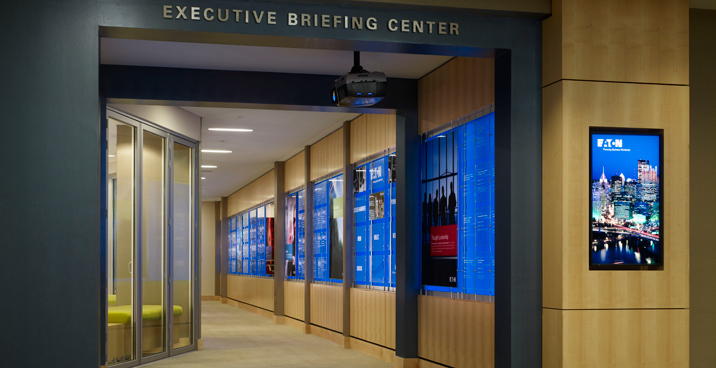 Eaton Briefing Center reception area - An interactive video wall illustrates how Eaton’s products and services work. Dining room - When you walk into the dining room, several large screen displays are placed in strategic areas for guests to learn more about Eaton’s products and services. LEED is a registered trademark of the U.S. Green Building Council (USGBC) in the United States and/or other countries.